Bramall Lane, Sheffield, S2 4QZ. 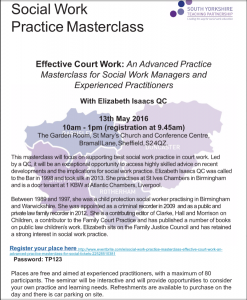 This masterclass will focus on supporting best social work practice in court work. Led by a QC, it will be an exceptional opportunity to access highly skilled advice on recent developments and the implications for social work practice. Elizabeth Isaacs QC was called to the Bar in 1998 and took silk in 2013. She practises at St Ives Chambers in Birmingham and is a door tenant at 1 KBW at Atlantic Chambers, Liverpool. Between 1989 and 1997, she was a child protection social worker practising in Birmingham and Warwickshire. She was appointed as a criminal recorder in 2009 and as a public and private law family recorder in 2012. She is a contributing editor of Clarke, Hall and Morrison on Children, a contributor to the Family Court Practice and has published a number of books on public law children’s work. Elizabeth sits on the Family Justice Council and has retained a strong interest in social work practice. 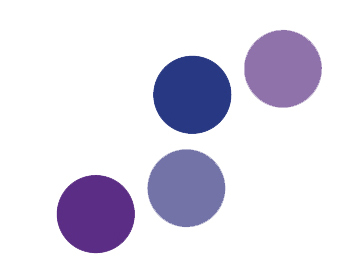 Places are free and aimed at experienced practitioners, with a maximum of 80 participants. 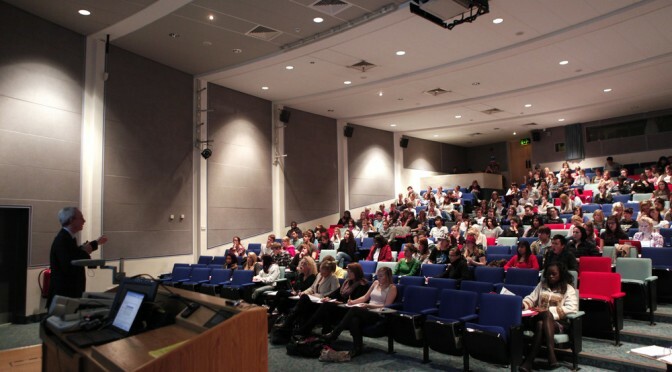 The seminar will be interactive and will provide opportunities to consider your own practice and learning needs. Refreshments are available to purchase on the day and there is car parking on site.